One of the most important features of any building is also something that people often take for granted: the power. Electricity is what makes homes liveable, and keeps businesses functional. It provides you with light, keeps your appliances running, and allows you to exist in the 21st century. Electricity doesn’t always function exactly the way we expect it to, though, so when you have a problem with your power, it’s best to solve it quickly. That way, you can get things back to normal and carry on with your day with a minimal amount of disruption. It’s smart to have a good electrician on hand who can assess your electrical needs quickly and competently. You should always seek out an emergency electrician in Balmain who is prompt, responsive and well-trained. 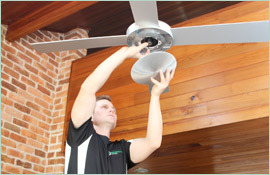 It also helps to find someone available round the clock, so that you can hire them to take care of any electrical problems you’re experiencing the moment you notice them. Paul’s Electrical is one of the best choices for an emergency electrician in the Balmain area, with 18 years of experience in all aspects of electrical work. 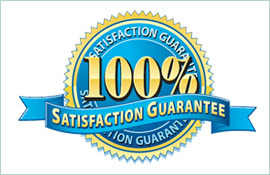 Paul’s Electrical is always on time and uses only the most highly-trained professional tradespeople. 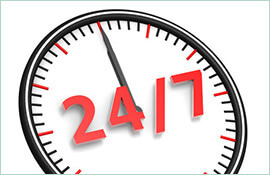 Best of all, Paul’s Electrical offers 24/7 service, so that you never have to wait when a problem arises. Choose a reliable emergency electrician in Balmain and make Paul’s Electrical your choice for residential electrical solutions of all kinds. Every household needs its appliances to function. Even more important than our oven or refrigerator is our water heater. As homeowners, we always depend on our water. We use it so often that we can forget it’s there. Without the proper monitoring and maintenance, a water heater can stop working, break down, especially if its being used day in and day out with no maintenance. When that happens, you may need an emergency electrician at your Balmain East home. Your water heater will work perfectly for a while if it is new. Years of use and neglect can take a toll on your otherwise reliable water heater. If you do not regularly drain the sediment from your water heater, it can settle at the bottom of the boiler and reduce its efficiency. Your water heater can also have an electrical error, causing it to fail without any visible reason to the untrained eye. 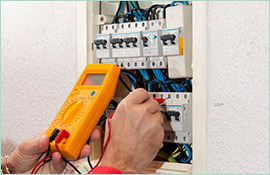 If any of these have happened to your Balmain East home, an emergency electrician will fix the problem without hassle. If you have experienced issues with your water heater, whether it is not working as well or has completely broken down, we’ve got you covered. Paul’s Electrical Services is ready to provide an emergency electrician to Balmain East or nearby. We can also provide 24-hour service in the case of a catastrophic failure of your water heater. We are leaders in residential electrical work, so we will always solve your problem whenever it occurs. No matter the severity of the job, we’ll be in touch.